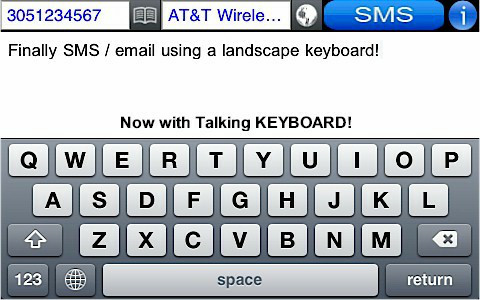 You can use this tool to send SMS Messages (Texting) using our popular TALKING/Voice Keyboard feature. 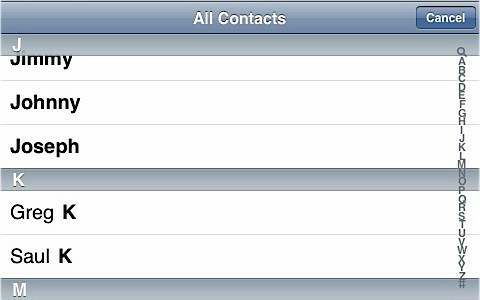 BEST OF ALL, your messages are FREE since they are sent using the email to sms protocol. If your local law permits you to use your phone while your drive, you can use this application to TYPE your SMS (Text Messages) without removing your eyesight from the road (make sure you feel safe doing it). Tired of not being able to see clear which key you are pressing when typing an email on your iPhone? Whether it's because the keys are too small to see or your fingers end up pressing the wrong number because the screen is too small; that all is now over! This simple yet helpful application works by playing the key you pressed every time you do, so you know which one you pressed without having to guess or reach for your glasses! Disclaimer: Important, do not use this application while driving if you do not feel safe doing it. Observe all your your local laws. 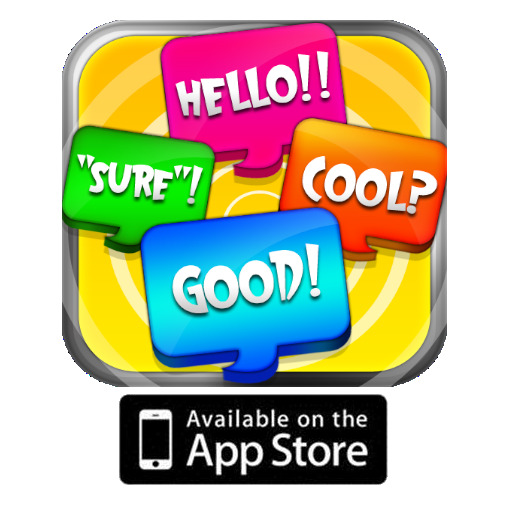 We are not responsible or liable for incorrect use of this application Please note that this application does NOT translate speech to text.